The landscape is typically a passive constituent, slowly evolving and only making an impact when weather or abrupt geographical changes occur. But seen through different lenses the landscape can be turbulent and stirring – an active component of everything we experience. Landscape can also be expressed within the context of environments, allowing personal and communal climates to be as relevant as traditional land-based definitions. In this vein, the subjects of “turbulence” and “landscape” are not restricted to translations of those topics that rely on the physical, but rather open to interpretation as physiological and non-material concepts as well. 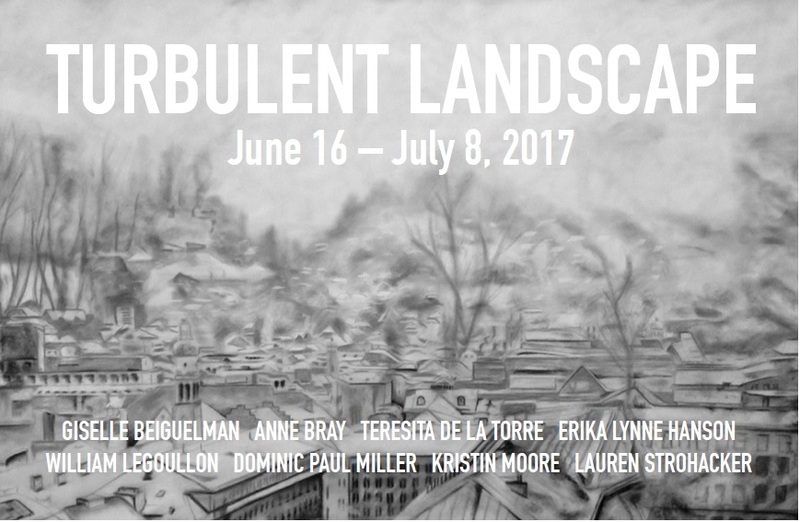 “Turbulent Landscape” explores these themes in a curated exhibition of works on paper, screen, and other media from local and regional artists who present states of unrest within topographical, personal, social, and political environments.